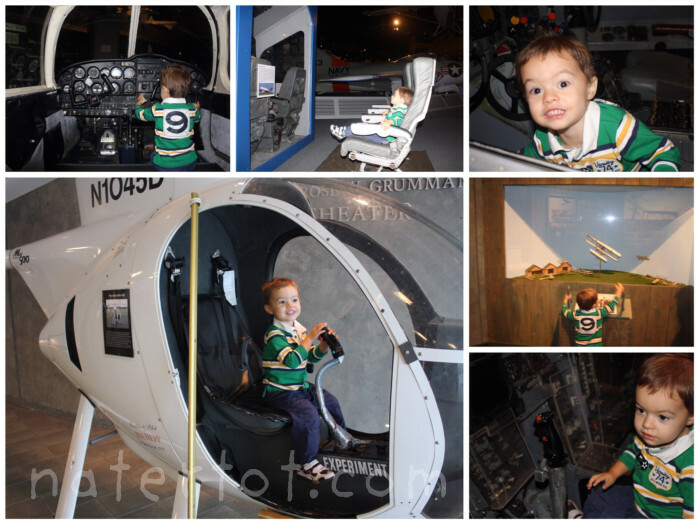 I recently discovered that in addition to having free passes to the Long Island Children's Museum, our library also has passes to the Cradle of Aviation Museum. I didn't really know what to expect. While Nate loves all things transportation, I wasn't sure if we would just be looking at a bunch of airplanes that we couldn't touch and whether that would keep his attention or not. It turns out that there is plenty for a two year old to touch, climb into, watch and appreciate. Nate hopped up into all kinds of cockpits and simulators. He pushed buttons - engines started, hot air balloons filled up - and pulled lots of levers. There were volunteers around most corners (generally elderly gentlemen) to offer background into the exhibits. I would have loved to listen to all of their history lessons, but Nate preferred to hide from them or dart away in search of more things to "get in there, Mommy!" After a quick hour (hour and a half?) had passed, I decided to pay the extra nine dollars so that we could also hit up the Firefighter Museum (which is inside the Cradle of Aviation). I didn't mind paying the extra fee, especially since our main admission was free, but good luck visiting the museum with a little kid and not going in. The way it is set up, they might as well have a trail of cupcakes and matchbox cars lining the path. 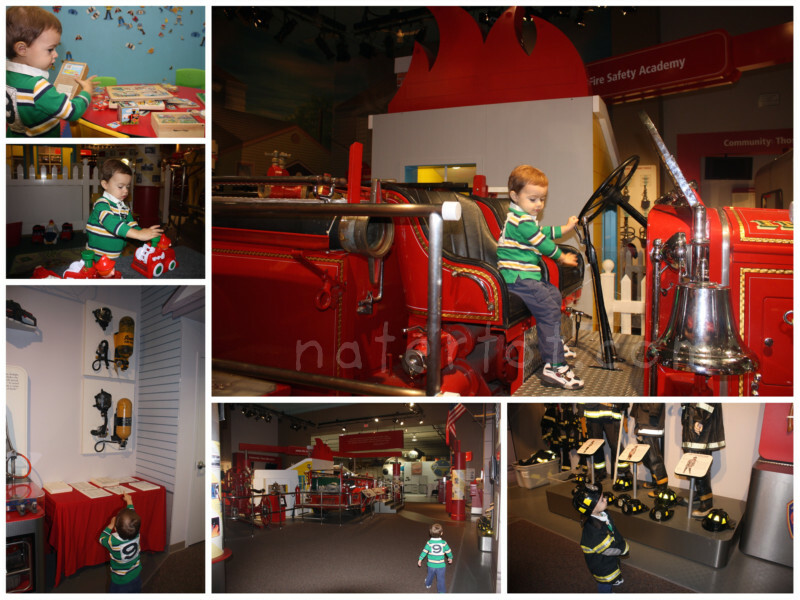 We passed another hour trying on fire fighter's gear, climbing into a fire engine and putting together puzzles that set off sirens upon completion. After lunch at the Red Planet Cafe and three "one more time"s in the helicopter, we were done with our tour. Great way to spend a few hours with your toddler. BPA free packaging by Fig Food Co.
Toddler obstacle course - ONE, TWO, FWEE!